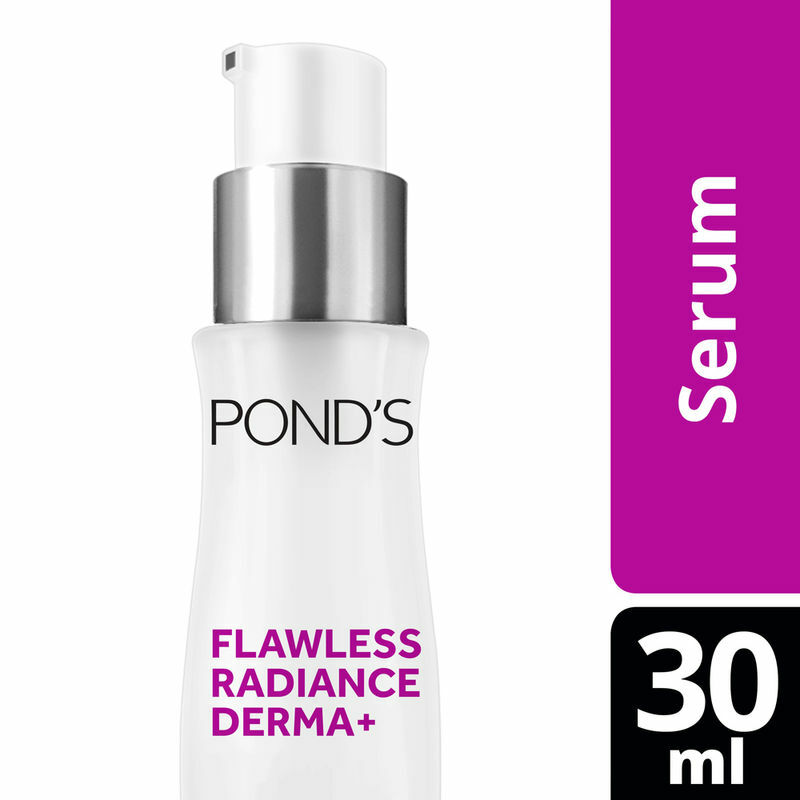 New Pond's Flawless Radiance Derma+ Perfecting Serum is the first serum from Pond's that is inspired by derma treatments for a spot-less, pore-less, luminous skin. The Perfecting Serum targets and treats multiple skin concerns for a smoother skin texture, reduced dark spots and pore size, and luminous skin. It is clinically proven to boost skin's cellular energy, reduce spots like laser, tighten pores like IPL and boost radiance like Gluta. It contains a patented derma ingredient, 5% DermPerfect complex, that is clinically proven to boost your skin's cellular energy and reduce spots, tighten pores and brighten skin for a flawless skin quality. Featuring Pond's most advanced technology to date, DermPerfect Complex, Flawless Radiance Derma+ sets the gold standard for skincare, clinically proven to lighten spots. It works by mimicking the actions of professional dermatological treatments by targeting the skin's deepest layers. Unlike many other skincare solutions in the market today, Pond's Flawless Radiance Derma+ works with the skin's natural processes using doctor-formulated ingredients to re-energize skin cells without causing any damage. It contains DermPerfect Complex, which contains six ingredients, including two powerful bio-actives - Vitamin B3 and Hexyl Resorcinol. To boost your flawless skin quality results, add serum to your day creams for that natural radiant glow. Dermatologist tested. Flawless Skin Beyond Belief: New Pond'S Flawless Radiance Derma+ Skin Perfecting Serum Unlocks Flawless Skin That'S Spot-Less, Pore-Less And Luminous. Derma Treatments Inspired: Our 1St Derma Grade Solution From Pond'S That Is Inspired By Derma Treatments. Clinically Proven Results: Clinically Proven To Be 4 Times More Effective Than Ipl In Lightening Dark Spots. *Based On 4 Weeks Of Pfr Usage Vs 1 Ipl Session. Booster Treatment: Targets And Treats Multiple Skin Concerns For A Smoother Skin Texture, Reduced Dark Spots And Pore Size, And Brighter, Luminous Skin. Usage: Apply In The Day And Night After Cleansing Face. Boost Your Day Creams: For Even Better Results, Add Serum To Your Day Creams For That Natural Radiant Glow In The Day. Apply Serum In The Night After Cleansing Face For That Natural Glow In The Night. Explore the entire range of Serums & Essence available on Nykaa. 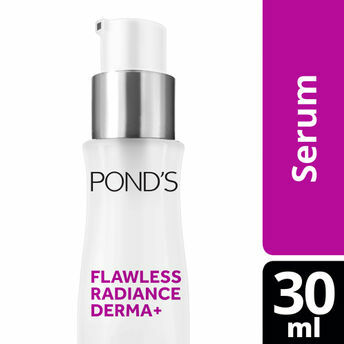 Shop more Ponds products here.You can browse through the complete world of Ponds Serums & Essence .